Prison Break is an American serial drama television series created by Paul Scheuring, which premiered on the Fox Broadcasting Company on August 29, 2005. The series revolves around two brothers; one has been sentenced to death for a crime he did not commit, and the other devises an elaborate plan to help his brother escape prison. The series was produced by Adelstein-Parouse Productions, in association with Original Television and 20th Century Fox Television. Along with creator Paul Scheuring, the series is executive produced by Matt Olmstead, Kevin Hooks, Marty Adelstein, Dawn Parouse, Neal H. Moritz, and Brett Ratner who directed the pilot episode.The series’ theme music, composed by Ramin Djawadi, was nominated for a Primetime Emmy Award in 2006. The series was originally turned down by Fox in 2003, which was concerned about the long-term prospects of such a series. Following the popularity of serialized prime time television series Lost and 24, Fox decided to back production in 2004. The first season received generally positive reviews, and performed well in the ratings. The first season was originally planned for a 13-episode run, but was extended to include an extra nine episodes due to its popularity. Prison Break has been nominated for several industry awards, and won the 2006 People’s Choice Award for Favorite New TV Drama and was nominated for the 2005 Golden Globe Award for Best Television Series Drama. All four seasons have been released on DVD, while the first and third seasons have also been released on Blu-ray Disc. The series has been aired internationally. The success of the series has inspired short videos for mobile phones, several official tie-ins in print and on the Internet, as well as a video game currently in development. A spin-off series, Prison Break: Proof of Innocence, was produced exclusively for mobile phones. The series has spawned an official magazine and a tie-in novel. The fourth season of Prison Break returned from its mid-season break in a new timeslot on April 17, 2009 for the series’ last six episodes. Two additional episodes, titled “The Old Ball and Chain” and “Free” were produced, and were later transformed into a standalone feature, titled The Final Break. The events of this feature take place before the last scene of the series finale, and are intended to wrap up unfinished plotlines. The feature was released on DVD and Blu-ray July 21, 2009. The first season follows the rescue of Lincoln Burrows (Dominic Purcell), who is accused of murdering Terrence Steadman (Jeff Perry), the brother of the Vice President of the United States. Lincoln is sentenced to death and is incarcerated in Fox River State Penitentiary where he awaits his execution. Lincoln’s brother, brilliant structural engineer Michael Scofield (Wentworth Miller) , is convinced of Lincoln’s innocence and formulates an escape plan. In order to gain access to Fox River, Michael commits armed robbery. Michael befriends the prison doctor Sara Tancredi (Sarah Wayne Callies) when he pretends to suffer from Type 1 diabetes, in order to gain daily access to the prison’s infirmary. The brothers’ fight to ward off the execution is aided by their lifelong friend Veronica Donovan (Robin Tunney), who begins to investigate the conspiracy that put Lincoln in jail. However, they are hindered by covert agents, members of an organization known as The Company. The Company was responsible for framing Lincoln, and they did so because of Lincoln’s father, Aldo Burrows, and his former connections to the company. The brothers, along with six other inmates, Fernando Sucre (Amaury Nolasco), Theodore “T-Bag” Bagwell (Robert Knepper), Benjamin Miles “C-Note” Franklin (Rockmond Dunbar), David “Tweener” Apolskis (Lane Garrison), John Abruzzi (Peter Stormare), and Charles “Haywire” Patoshik (Silas Weir Mitchell), who come to be known as the Fox River Eight, escape in the season finale. The second season begins eight hours after the escape, focusing mainly on the escapees. Series creator Paul Scheuring describes the second season as “The Fugitive times eight” and likens it to the “second half of The Great Escape“. The fugitives split up and journey to locations across the country with the authorities close behind them as they each pursue their individual goals. 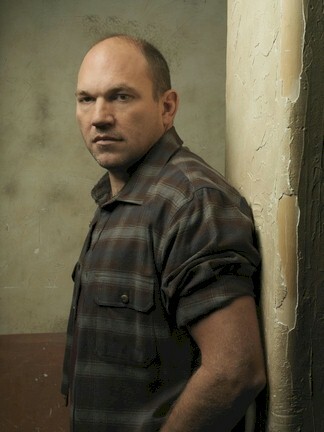 Brad Bellick (Wade Williams) gets fired from the prison where he worked as a guard and chases after the inmates himself for the reward money. Several of the escapees reunite in search of a large cache of money buried long ago by another prisoner. 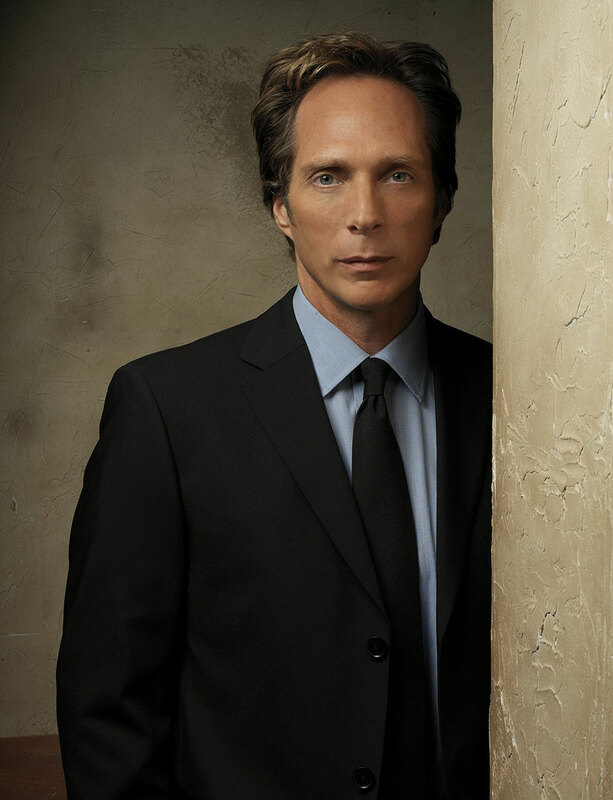 Federal agent Alexander Mahone (William Fichtner) is assigned to track down and capture the eight fugitives, but is revealed to be working for The Company, which wants all eight men dead. When Sara discovers her dead father, Governor Frank Tancredi, she meets with Michael, remaining with him as the brothers try to bring down the current President, a Company member. To ensure the brothers’ safety, Sara allows herself to be arrested and faces trial. During the trial, the testimony of former Secret Service agent Paul Kellerman, who used to work for the Company-controlled President, exonerates Lincoln and Sara. Several of the escapees are killed or recaptured, but the brothers make it to Panama. Michael, T-Bag, Mahone, and Bellick are arrested by the Panamanian authorities and imprisoned at the PenitenciarÃ­a Federal de Sona.. The third season follows both Michael inside Sona and Lincoln on the outside in Panama. Sona is a prison that has been run by the inmates and guarded only from the outside since a riot the year before. Burrows is quickly contacted by Gretchen Morgan (a Company operative who was in charge of operations in Panama) who kidnapped his son LJ (Marshall Allman) and Sara Tancredi (Sarah Wayne Callies), the woman Michael loves. He is told that The Company wants Scofield to break James Whistler (Chris Vance) out of Sona. The season follows Michael and Whistler’s trials in formulating an escape plan, as Michael has to deal with extreme tension and as Lincoln deals with the Company’s operative Gretchen Morgan (Jodi Lyn O’Keefe). Sucre gets a job at the prison to aid Michael in his escape plan. When Lincoln attempts to rescue Sara and LJ following a clue provided by Sara, Gretchen claims to have beheaded Sara and sends Lincoln a head in a box as a warning. As the season ends, the pair manage to escape along with Mahone, and another inmate McGrady leaving behind several accomplices including T-Bag and Bellick. 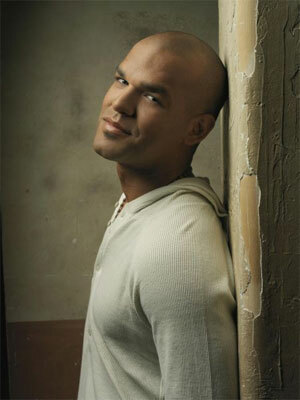 Sucre’s identity is discovered by a prison guard and is thrown into Sona just after the escape. LJ and Sofia (who was captured for a guarantee that Whistler would go with her) are traded for Whistler, and Michael seeks revenge against Gretchen for Sara’s death. The major storyline for the fourth season concerns a team recruited by Homeland Security agent Don Self (Michael Rapaport) to obtain Scylla. Although the team initially believes it to be the Company’s “black book”, it is later revealed to contain information on an advanced renewable power cell. Over the course of the first half of the season, the team obtain cards to access Scylla, and break into Company headquarters to steal it. In the first half, Sara is discovered to be alive, Bellick is killed, and Self is revealed to be a double agent and is planning to sell Scylla to the highest bidder. Reluctantly, Lincoln decides to join the Company to get it back, while Michael suffers from a hypothalamic hamartoma. He is treated and operated on by the Company. He later learns that his mother, Christina is still alive and was an agent of the Company, who is revealed to acquire Scylla to sell to the highest bidder. Eventually, the series ends in Miami, where Scylla is recovered by Michael and the team, the General and the Company are taken down, and Christina is killed. In Prison Break: The Final Break, a story is told explaining what happened following the events of the last episode (before the four-year flash-forward) and the strange scar on Sara’s shoulder. This story involves the incarceration of Sara in Miami-Dade county penitentiary due to budgetary cutbacks; there are cots installed there acting as the county jail. With the General and T-Bag in the adjacent Men’s facility, the General wants Sara dead and offers a $100,000 bounty. Largely echoing season one, Sara is involved in common prison fare before Michael hears of the bounty, and plans are devised for her escape. And in the end, Michael sacrifices himself for his brother, wife and child. It was also his choice to do so due to his disease, a brain tumor. Following a successful airing of the series’ first thirteen episodes, Prison Break was nominated for its first award, the 2005 People’s Choice Award for Favorite New TV Drama. The series won the award in January 2006, beating other nominees in the same category, Commander in Chief and Criminal Minds. In January 2006, the show had two nominations at the 63rd Golden Globe Awards, which were Best Drama Television Series and Best Actor in a Drama Television Series for Wentworth Miller’s performance. The show’s lead actor, Wentworth Miller, received another nomination for his performance in the first season at the 2005 Saturn Awards for Best Actor on Television. Likewise, the series was nominated for 2005 Saturn Award for Best Network Television Series. At the 2006 Television Critics Association Awards, the show was nominated for Best New Drama Series. Nominations for technical awards include the 2006 Eddie Award for Best Edited One-Hour Series for Commercial Television (Mark Helfrich for the pilot episode), and the 2006 Primetime Emmy award for Outstanding Main Title Theme Music (Ramin Djawadi). 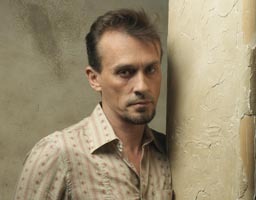 In December 2006, Robert Knepper was nominated for the 2006 Satellite Award for Best Actor in a Supporting Role in a Series, Mini-Series or Motion Picture Made for Television.